Settlement of the Edam district began in the late 1800s. By 1907 a number of homesteaders, including some settlers from Holland, were established in the area. A few of these Dutch settlers were interested in forming the area into a hamlet so they went to the Saskatchewan Government Office in North Battleford to apply for permission to name the hamlet 'Amsterdam'. This name was rejected as it was too long, so 'Edam' was named after another settlement in Holland. On October 12, 1911 Edam was officially incorporated as a Village. The Paynton Ferry was put in the Saskatchewan River in 1907. This was a welcome sight as Paynton was the closest rail line for the area's settlers and the ferry allowed for the river to be crossed from spring break up to winter freeze up. This same year, Edam built its first school just a few miles east of town. By 1910 the railway had made its way to Edam and in 1911 the Village had its first grain elevator. Edam was a very prosperous young village with many local businesses such as a hotel, lumberyard, livery barn, post office, store, Canadian Bank of Commerce, and a two-story school with the top story being used a Community Hall. In 1916 construction began on the Lady Minto Hospital and it opened its doors in 1917, the same year that Edam's second grain elevator was built. By 1922 the population of Edam had grown to 250 and had 28 places of business along with telephone, C.N. Telegraph, and railway service. Today Edam is a thriving urban community situated in the midst of heavy oilfield development and a bustling agriculture economy. Over the past decade, oil exploration has played a vital role in the local economy providing many job opportunities for people in the area and attracting many businesses to the community. Edam has a newer Health Care Centre and Level III Nursing Home with a permanent doctor on staff offering basic medical services. The Lady Minto Health Care Centre is a modern, fully equipped medical clinic with laboratory and x-ray services. The Nursing Home provides top quality, personal nursing care and respite beds. The Centre also offers other services to the community such as Home Care and Meals on Wheels. 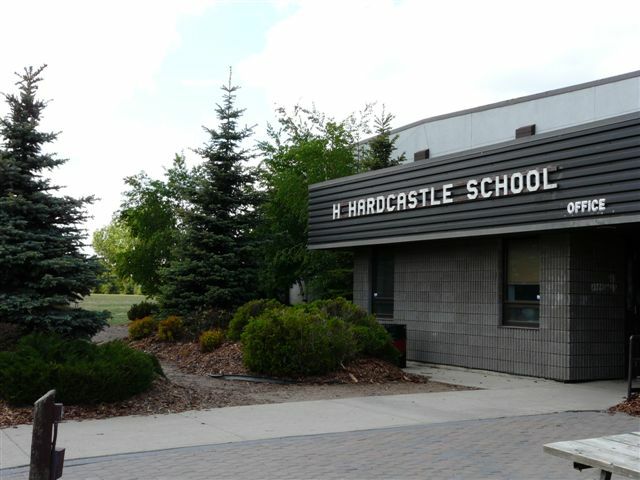 The village has a modern kindergarten to grade 12 school where high-quality education is provided in a caring manner. Students at H.H.S. are well known for their debating skills and drama productions, in addition to their other academic and athletic pursuits. Other services available include groceries, deli, bakery, liquor board, restaurant, hotel, banking, post office, automotive services, car and truck wash, motor vehicle licences, bus service, gas station, airstrip, volunteer fire department, first responders, and a public library with free Internet access. At its location in the parkland area of the Northwest, Edam is at the gateway to some of Saskatchewan's finest hunting, fishing, swimming, and camping facilities. Picnic Lake, one of Edam's hidden treasures, is located just 4 miles east and 1 mile north of Edam. This quiet, picturesque, clear blue lake is a beautiful spot for camping, swimming, boating, trout fishing, or just relaxing. The lake is surrounded by lush aspen groves and its beaches are full of fine white sand. A new playground was erected close to the beach. For the history buff, take a journey to Pine Island located in the North Saskatchewan River about 14 miles northwest of Edam. In the late 1780s this Island was the site of three houses competing for the fur trade - The Hudson Bay Company, The North West Company, and McKay & Shaw. Pine Island is now a protected area under provincial statue. Visitors can also follow the Fort Pitt Carlton Trail where markers indicate the original trail dating back to 1829. On July 1, 2005 the Washbrook Museum was officially opened in the former Sask Wheat Pool elevator. The first three floors of the annex have been converted into unique showrooms for the vast array of local pioneer era items and First Nations artifacts. The museum is open to the public from the long weekend in May to the long weekend in September. 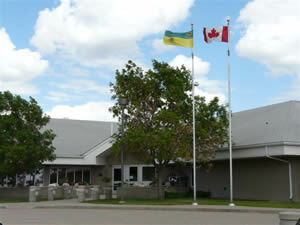 Edam's recreational facilities include a newly twinned skating ring, curling rink and community centre, a five-diamond ballpark. During the winter months you will find many of the residents at the Community Centre enjoying a hockey game or tournament with our North Saskatchewan River Hockey League Championship seniors' hockey team, or one of our minor hockey teams who have won many league and provincial championships. Every February the members of the Figure Skating Club demonstrate their achievements at their annual Carnival. The Curling Rink is busy all winter with league games and weekend bonspiels. Each year people come from miles around to attend the Edam Fall Fair, a commercial cattle show and sale offering over $6,000 in prize money. This annual show is held on the last Saturday of October in conjunction with a pre-Christmas craft sale and trade show.